Buffalo hides, also known as Buffalo robes, are a stunning piece of our American heritage. Our rich beautiful buffalo robes (hides) are a great addition to any room. 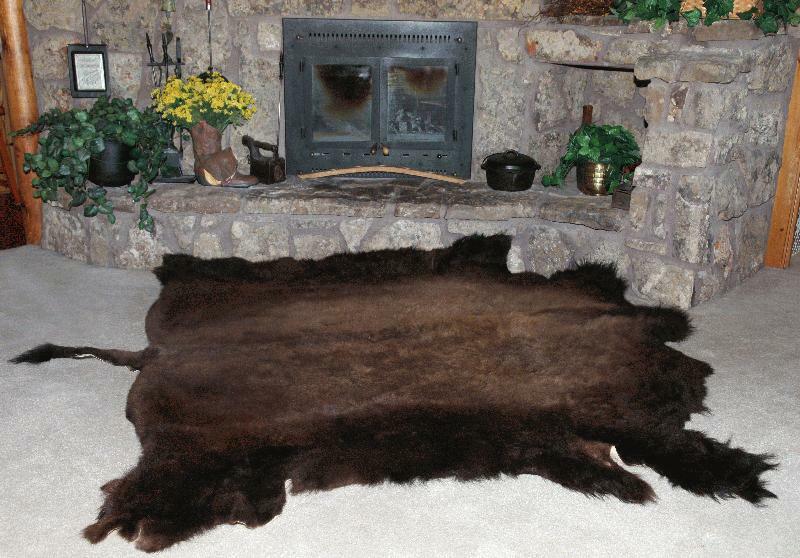 Our buffalo robes’ deep soft fur makes for a wonderful rug in front of the fireplace or, a warm, cozy cover for your beds, couches, and chairs. Our buffalo robes also make for unique and rich looking wall hangings, or you can just wrap up in a robe to keep warm and comfortable. There are different species of buffalo and therefore the hides will vary in size and color. Each buffalo hide is carefully hand shaved by our skilled tanners to insure quality craftsmanship for a premium buffalo robe that will last a lifetime. Order your buffalo robe today. Our robes come with a LIFETIME CLEANING AND RECONDITIONING SERVICE. Thank you for checking us out and if you should have any questions, please do not hesitate to call us!